Exactly a year ago Naomi Osaka was just a 20-year-old kid who loved playing tennis. She was ranked 72 in the world and many believed she had the potential to capture multiple Grand Slams. 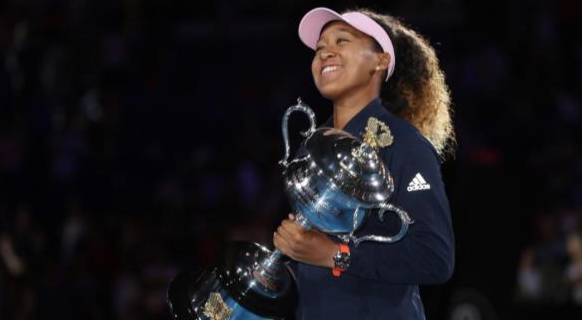 Fast forward to twelve months and Naomi Osaka has not only has pocketed two majors, but is now the number one ranked women’s player in the world. While many people knew this was coming, nobody expected to see such a rise in platform for the player during such a short period of time. The Japanese’s surge to the top began at the Indian Wells Open after convincingly winning the title. She dropped just one set en route to the trophy, which included wins against two top five players in Karolina Pliskova and Simona Halep. The win at Indian Wells instilled a new belief in the Japanese and she carried that imperious form into the US Open. Having played in previous majors and reaching the 4th round at best, Naomi not only sailed past that but instead went onto clinch the title by beating hometown favourite Serena Williams in the final. Though Naomi’s splendid performance was overshadowed by the ugly spat between the chair umpire and Serena, people knew a new star was born that day. After clinching the US Open crown, Naomi participated in the Pan Pacific Open where she made it to the final. She then took part in the China Open where she reached the semis. Having gone as deep as possible in these tournaments, Osaka earned herself a spot in the WTA finals where she was grouped with former US Open champion Sloane Stephens, three-time Grand Slam champ Angelique Kerber and Dutch number one, Kiki Bertens. Though she couldn’t manage to close out the year, Osaka was mighty pleased with what she achieved and was hungry for more. Seeded at number four at the Australian Open, Naomi Osaka whizzed past Magda Linette and Tamara Zidansek in the first two rounds. Up against the number 28 seed Hsieh Su-Wei in the third round, Naomi lost the first set before making a sterling comeback to win the match in three sets. Thirteenth seed Anastasija Sevastova was next and Naomi had a similar match like her last where she came back to win after dropping the first set. The win over the Latvian helped her seal her first ever quarterfinal at the Australian Open. In the quarterfinal, the Japanese locked horns against the number 6 seed and winner of the WTA finals, Elina Svitolina. It did not take the Japanese long to dispatch Svitolina in two sets as she sailed into the semis. Naomi was up against a high flying player in Karolina Pliskova, who in her quarterfinal bout with Serena, did incredibly well to win six games in a row in the deciding set after staring down the barrel at 1-5. The semi-final clash was expected to go the distance and it lived up to it as both players battled hard before the Japanese sealed the deal with a stellar show in the deciding set. While the match went the distance, it was unlike her other three-setter matches where this time she had actually won the first set. The win over Pliskova meant that Naomi reached back-to-back Slam finals and while she was desperate to win another major, there was another reason for both Naomi and Petra Kvitova to win the AO final – win and become the World No.1! It seemed like a one-sided final as Kvitova always looked behind the eight ball right from the onset. And despite her valiant efforts to save three championship points and take the final to three sets, Naomi had her name being chanted as she clinched her second major in just over five months. While Naomi Osaka soaks in all the applause, credit must be given to her coach Sascha Bajin, who in his own words had said, “From the very beginning, she (Naomi) was a big hitter.” And that’s one of the main reason behind the Japanese’s rise to the top. This is just the start and like the whole of Japan and Naomi’s well-wishers, we too are excited to see what’s in store for the Japanese rising star.